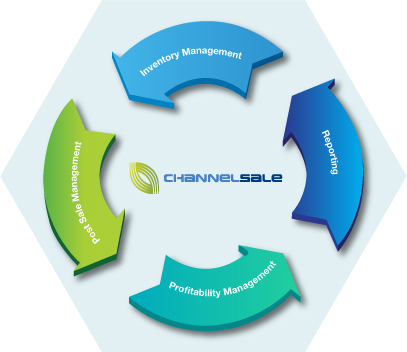 What better way to expand your online selling foray than using Channel Sale's professional management team? We have a team of trained professionals who understand the nuances of online sales, understand the workings of multiple marketplaces and are expert at devising and implementing strategies to multiply your sales responses. Channel Sale has direct pre-configured product feed integrations with the marketplaces Amazon, eBay, Sears, Rakuten, Best Buy, Newegg, Overstock, Wayfair, Houzz, Wish, Bonanza via delivery methods API-XML and FTP. Our retail sales support services include – Inventory Management, Post-Sale management, Reporting and Profitability Management. Automate your product data import and submitting feeds to marketplaces, comparison shopping engines and affiliate networks, based out of one centralized spreadsheet file or a shopping cart. Feel free to send us a small sample of your product data feed file in any of the following formats: .csv, .txt, .xls or alternatively, you can use the attached Channel Sale Inventory Template to fill in your product data, which is ready to go on all shopping channels. Synchronizing the data: Real time Inventory Management – If a product is sold on one marketplace, the updated quantity will reflect on all other marketplaces, so you never over-sell or under-sell. In-depth performance analysis and reports, indicating both macro and micro level views of SKU conversions across all the channels.